I have had a crazy busy couple of weeks!!! August seems to be one of my busiest months of the year!! I haven’t had much time for creating but I have a few days off, so hopefully you will see some more projects from me later this week. 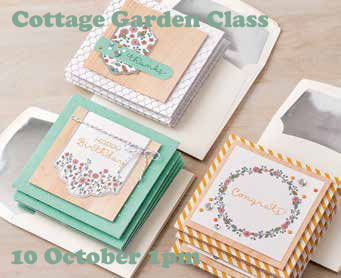 Have you seen the gorgeous Cottage Garden kit in the Catalogue? It’s simply stunning!! And the matching stamp set, Cottage Greetings, is cute too. I am hosting a class on 10 October where you can come and make this kit with me. It will be $35 for just the kit and the use of my stamp set and inks or $50 for the kit and stamp set plus the use of my inks (which is a saving of $6). As I will need to order the kits prior to the class, pre-payment is required at the time of booking. I will accept bank transfer or I can charge it to your registered credit card. The last date to book will be 1 October. 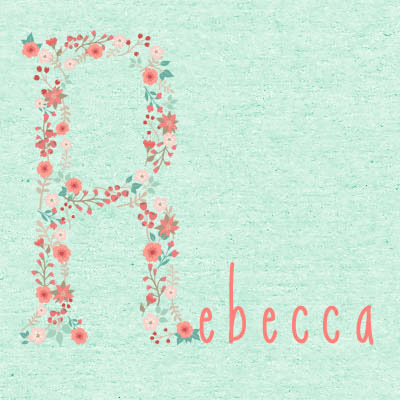 Please email me at stampinwithrebecca@yahoo.com.au or call me on 0408 193 792 to book in today. Check out this gorgeous kit in the video below. « CTC41 – Is it really time to start thinking about Christmas? ?